Modular sofa. Wooden frame in multi-layer poplar and multi-layer birch with elastic straps, with pad in expanded polyurethane, fibre covering matched with jersey. Seat cushions in feather, with insert in expanded polyurethane, with differentiated density, upholstered in cotton and heavy cotton. Backrest cushions, lumbar cushions and armrest cushions in feather and conforel, upholstered in cotton. Die-cast aluminium feet with chrome-plated or powder coated finish (RAL colours 9017 black traffic or 9001 cream) and non-slip base. 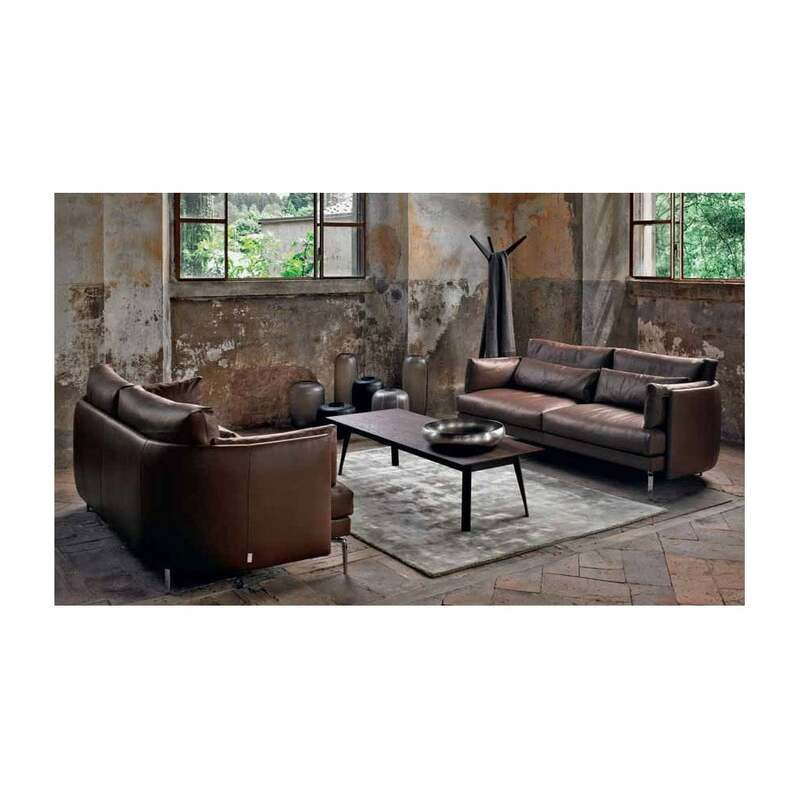 Elements upholstered in completely removable fabric; elements upholstered in leather with cushions having removable covers and structure with non-removable covers. Available in a wide range of modules for various compositions, please contact us for details.